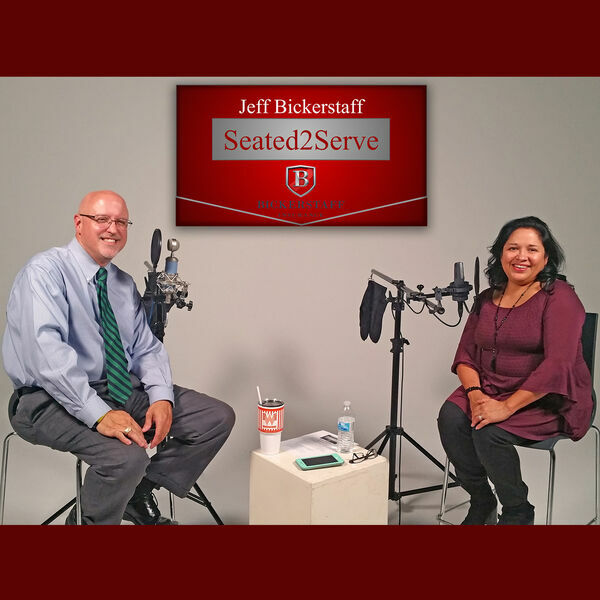 In this episode of Seated2Serve, host Jeff Bickerstaff interviews Melissa Stone, owner of Confection Perfection by Melissa in Wylie, Texas. How does she run her business, including being an approved vendor for various school districts, from her garage? Melissa is currently a volunteer, and active in her city council and chambers. Find out how she's made a business surrounding her life, instead of trying to fit her life around her blossoming business. To discover more about Confection Perfection by Melissa, go to ConfectionPerfectionbyMelissa.com, call 972-333-5189, or connect with her on Twitter and Instagram @CPByMelissa. In addition, you can find them on FB/ConfectionPerfectionByMelissa/ - go like their page! Jeff Bickerstaff has worked with the city councils of Richardson, Murphy, Forney, and Garland, and currently holds place 6 in Sachse, Texas. Jeff is knowledgeable firsthand of the importance of small family business relationships and how communities work. To be a guest or advertise on Seated2Serve, call 972-771-4992. Seated2Serve is sponsored by Jeanie Marten Realty, MartenTeam.com (972) 588-8363, LCS Travel (214) 432-2909 in Sachse, Texas and Bickerstaff Insurance and Financial Services.